I guess every Singaporean has a story to tell in one way or another… of the place he or she was born and raised. Each story is an unique memory. I’m no exception. My hometown was Ang Mo Kio. If the life expectancy of a Singaporean male is around 79, I’d have spent almost one third of my life living in Ang Mo Kio. My parents moved to Ang Mo Kio in 1979 when I was 3-plus. Previously, we lived in a rental flat at Toa Payoh. The successful balloting came as a delightful surprise as Ang Mo Kio was then an upcoming new town. Costing $13,000, our three-and-a-half room flat was located in a favourable location along Ang Mo Kio Avenue 10, where there were convenient amenities such as hawker centre, wet market and schools within short walking distance. Most of my peers, including me, grew up living in HDB flats. Not for my parents though, who had lived in kampong during their younger days. My father grew in a humble Hakka village off Old Holland Road, while my mother was from Chia Keng, a Teochew kampong that was formerly located near the present-day Yio Chu Kang Stadium and was demolished in the mid-eighties. Imagine their delight when they moved into a new unit with ready supply of water, electricity and modern sanitation. Ang Mo Kio… Tomato or Bridge? For years, there were misconceptions that the name of Ang Mo Kio was derived from the Hokkien term for tomatoes. However, no tomato farms were ever grown in this vicinity. Thus, the more likely origin of the name came from the bridge purportedly built by the British Government Surveyor John Turnbull Thomson (1821–1884) at the junction of Upper Thomson Road and Ang Mo Kio Avenue 1. Upper Thomson Road was also named after him. Another saying was that there were nine, instead of one, bridges in Ang Mo Kio. They were built by the British military, and therefore being termed “ang mo kio“, which means “Caucasian’s bridge” in Hokkien. The final explanation was that there were actually two major bridges in the old swampy Ang Mo Kio. One was a wooden bridge and the other was made of concrete. The locals called the bridges as “pang kio” (“wooden bridge” in Hokkien) and “ang mo kio” (“ang mo” here refers to “ang mo huay“, which means “concrete” in Hokkien). Whether it was one, two or nine bridges, they, along with the swamps, farmlands and villages, had long vanished in the development of Ang Mo Kio New Town. The earliest plan to build a residential estate at Ang Mo Kio began in 1971. It was initially intended for the small car repair shop owners who had been relocated from the city area. By 1973, it was decided to develop Ang Mo Kio into a new town with self-sufficient facilities. It would be the seventh housing estate in Singapore built by the Housing and Development Board (HDB). Ang Mo Kio was designed with six neighbourhoods with streets that run perpendicular to each other. As such, it was the first new town in Singapore to be designed in metric dimensions. There is a total of ten main avenues in Ang Mo Kio. The avenues in odd numbers (Avenue 1, 3, 5 and 9) run from east to west in ascending order, whereas the even-numbered avenues (Avenue 2, 4, 6, 8, 10 and 12) run from north to south. However, Ang Mo Kio Avenue 7 is missing in the map, which logically should be parallel between Avenue 5 and 9. Did the town planners make a mistake last time? Ang Mo Kio Avenue 7 was mentioned in some history context but its exclusion remains a mystery till today. There is also no Ang Mo Kio Avenue 11 because Yio Chu Kang Road is already running parallel to the north of Ang Mo Kio Avenue 9. The smaller streets in Ang Mo Kio, on the other hand, are numbered according to the clusters of flats they lead to. Ang Mo Kio Street 52, for example, runs through the neigbourhood with the block numbers began with 500-plus, where Ang Mo Kio Street 44 leads to the 400-plus-numbered flats. This concept is also used in other new towns such as Bishan and Jurong East/West. The six neighbourhoods in Ang Mo Kio are categorised as Kebun Baru/Mayflower (with blocks numbered 100- and 200-plus), Teck Ghee (block 300-plus), Chong Boon (block 400-plus), Cheng San (block 500-plus), Yio Chu Kang (block 600-plus) and Town Centre (block 700-plus). Cheng San, in particular, was named after Kampong Cheng San, also known as Cheng Sua Lai (青山内, “Green Hills Interior” in Hokkien), a dominant village that existed in the area between the fifties and seventies. It was made up of many clusters of Hokkien and Teochew villages, as well as some Malay and Indian families. A long track known as Cheng San Road once cut through the vegetation and farmlands in old Ang Mo Kio to link between Upper Thomson Road and Serangoon Gardens. Other villages included Jio Sua (石山, “Stone Hill”) and Kow Tiow Kio (九条桥, “Nine Bridges”). Jio Sua was an early Hokkien village existed from the late 19th century till the mid-seventies. It was located at present-day Ang Mo Kio Town Garden West and was likely to named after a red sandstone that was found in the vicinity. Farming and quarrying were the main activities then. Named after the nine bridges built by the British to link Lorong Kinchir over the Kallang River, Kow Tiow Kio was a settlement along present-day Ang Mo Kio Avenue 1 that housed mainly Hokkien, Teochew and Hainanese families. The villagers engaged in vegetable and fruit farming, pig rearing and rubber and coconut plantations. They were resettled in the seventies to Sin Ming, Toa Payoh and other parts of Ang Mo Kio. There was another smaller village, known as Lak Xun (六巡), located between Track 14 and 16 (both were defunct today) of Yio Chu Kang Road. Amoy Quee Camp is the only military camp based in Ang Mo Kio. Formerly a British army camp, its name was derived from Kampong Amoy Quee that once dominated this area. The name of the kampong itself arose from the nickname given to the British and Australian soldiers by the locals. During the pre-independence days, the military personnel living at the Serangoon Gardens would drive through the kampong as a shortcut to the Seletar and Sembawang camps. Their reckless drivings sometimes killed the villagers’ chicken and other livestock. The angry locals thus nicknamed the Caucasians as “ang moh kwee” (“red-haired devils” in Hokkien). There is also a small housing estate located along Yio Chu Kang Road, considered part of Ang Mo Kio New Town. It is the Teachers’ Housing Estate, completed in 1968 by the Singapore Teachers’ Union (STU). The project aimed to provide affordable housing for the teachers. More than 250 terrace houses were built and priced at around $24,000, which was still a large amount for the teachers then. Eventually only 70% of the houses were sold to teachers. An interesting trivia about Teachers’ Estate is that all its roads are named after famous poets and philosophers. Some examples are Li Po Avenue, Tu Fu Avenue, Tung Po Avenue (named after ancient Chinese poets Li Bai 李白, Du Fu 杜甫 and Su Dong Po 苏东坡), Iqbal Avenue (named after Muslim poet Muhammad Iqbal) and Omar Khayyam Avenue (named after Persian poet Omar Khayyam). My ten years of primary school and secondary school life were spent within Ang Mo Kio. Make it twelve if I included the kindergarten. Unlike today, there were few or no nurseries or pre-education classes in the early eighties. Kids spent most of their time playing with masak-masak (“cooking” in Malay but it generally means “playing with toys” in Singlish context) instead of learning violin, piano or ballet. The financial means of a middle class family then could hardly afford these courses anyway. My primary school, Chong Li Primary School, used to stand side by side at Ang Mo Kio Avenue 44 with Chong Boon Primary School and Anderson Secondary School, which was also my secondary school. Anderson Secondary School was formerly located at Steven Road, before moving to Ang Mo Kio in 1984. 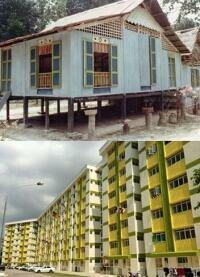 A decade later, it was shifted to another site at Ang Mo Kio Street 53. By 2000, Chong Boon Primary School was merged with Da Qiao Primary School, while my primary school also vanished after its 2003 merger with Teck Ghee Primary School. The large premises are now occupied by Chong Boon Secondary School. Other primary schools in Ang Mo Kio that had also vanished were Li Hua Primary School (formerly Lee Hua Chinese School, 1970s-2000), Ang Mo Kio North Primary School (1981-2000), Chong De Primary School (1982-1998), Hong Dao Primary School (1982-2000), Chong Shan Primary School (1982-2001) and Kebun Baru Primary School (1983-2002). Meanwhile, Ai Tong Primary School was located at Ang Mo Kio Avenue 3 between 1981 and 1992. The current primary schools in Ang Mo Kio include Da Qiao Primary School (formerly Tai Keou School, founded in 1936 at North Bridge Road. Relocated to Ang Mo Kio in 1982), Jing Shan Primary School (formerly Cheng San School, established in 1945 at Kampong Cheng San), Ang Mo Kio Primary School (since 1978), Mayflower Primary School (since 1979), Townsville Primary School (since 1982) and Anderson Primary School (since 2000). The days of primary school had got to be the best moments in my life. Those were the happy memories in playing gor li (marbles) and hantam bola during recesses, exchanging Panini stickers with classmates, catching guppies in nearby longkang and doing projects in order to earn that Zoologist science badge. We also had school excursions at Sentosa (riding the monorail) and Haw Par Villa (which gave me nightmares for many nights). Ang Mo Kio Town Centre, or fondly known as Ang Mo Kio Central/Centre, is a bustling self-sufficient neighbourhood since its development in the late seventies. Also one of the largest town centres in Singapore, it was built on a low-lying location in-between small hillocks on the eastern and western flanks. The hilly parts of Ang Mo Kio are still visible today at Ang Mo Kio Town Garden East and Ang Mo Kio Town Garden West. In the eighties and early nineties, residents from the neighbouring Bishan, Yishun and Sembawang would flock to Ang Mo Kio to shop, dine and catch movies, because the shopping facilities in their respective housing estates were not fully developed yet. Beautifully lit up at nights, the large fountain was perhaps the most famous landmark of Ang Mo Kio Town Centre in the eighties. Its water, however, was drained away sometime in the nineties, leaving the fountain emptied and unmaintained. Slowly forgotten over the years, it was eventually demolished. The Oriental Emporium dominated the local retailer sector in the eighties. Being one of the largest and upcoming housing estates in Singapore, Ang Mo Kio was unsurprisingly chosen by the departmental giant for the location of one of its outlets. It had a grand opening at the town centre on the 28th March of 1980. Selling a large variety of products, Oriental Emporium became one of Singaporeans’ favourite shopping destination in the eighties. Owned by the Emporium Holdings Group, the former Oriental Palace Restaurant was also a popular venue in Ang Mo Kio for the hosting of wedding and birthday celebration dinners. To enjoy yum cha (morning tea in Cantonese) at the restaurant on a Sunday morning was a treat then; something that I looked forward to if my parents had a lucky strike in 4D. One of the my favourite places at the Ang Mo Kio Town Centre during my childhood was the children’s traffic garden. It was like a mini version of the Road Safety Park at East Coast. Beside small bicycles, there were the more popular battery-powered “motorbikes” and “cars” for kids. I could not remember the cost of each ride. It was probably 50c for a 10-minute ride. After the traffic garden was demolished, the vendor still operated his business elsewhere at the town centre. The kids were then free to roam around in their miniature vehicles. Such vendors could still be seen today at other places such as the Bukit Merah Town Centre. There used to be four cinemas at the Ang Mo Kio town centre. The earliest was the Ang Mo Kio Cinema, but it was gone by the mid-eighties and its premises was converted into the Big Mac Centre today. The other three cinemas, Broadway, Jubilee and New Crown/New Town, had found their ways into Ang Mo Kio heartland in the eighties and nineties. Owned by Cathay, Eng Wah and other cinema operators, they provided cheap and convenient access to the popular Hong Kong and Hollywood movies for the residents and students. I could not remember how many Stephen Chow and other Hong Kong movies I had watched at those cinemas. Broadway Cinema was located just opposite the Ang Mo Kio Central Market and Food Centre, which served delicious satay beehoon, carrot cake, Hokkien mee and other local delights. There was also a popular second-hand book store beside the Ang Mo Kio Central Food Centre that had been around for some twenty years. However, it was shut down for good after the renovation of the hawker centre a few years back. During my school days, I used to patronise the arcade game shop at the building which housed the New Crown/New Town cinema. The Korean buffet restaurant Seoul Gardens used to run its business at its premises too. After the cinema ceased its operation, the entire building was painted red and became known as the New Crown Building. It was then demolished in mid-2012. Jubilee Cinema was the smallest of the trio in the nineties. Its building was easily identifiable with the large Pizza Hut logo. Located next to it was (and still is) the large S11 kopitiam, ensuring the late night movie-goers would not go home with hungry stomachs. The building is now a little shopping mall called Jubilee Square. The Ang Mo Kio Public Library was officially opened in August 1985 after four years of planning and two years of construction. Formerly known as Ang Mo Kio Branch Library, it was the fifth branch library to be built in Singapore. Before the completion of Ang Mo Kio library, a small mobile library was temporarily set up at Block 528 for the residents. Otherwise, the residents had to travel to the Toa Payoh library for books and other materials. Filled with many retail shops, the Ang Mo Kio Town Centre was the favourite destination for me to hang around after school. I could spend hours walking around hunting for cassettes (and music CDs in the later times), comics, shoes and “friendly” versions of PC games. Or playing Virtua Striker at the arcade. Or simply enjoying a frosted mug of root beer float at the A&W restaurant with friends. Feeder bus service 261 that loops around my old home has got to be the most frequent bus service in Ang Mo Kio. However, in the eighties and early nineties, it was the only bus service within short walking distance from my flat. It was only many years later before they added Service 55 which linked up Hougang, Ang Mo Kio and Bishan. The old Ang Mo Kio Bus Interchange was opened in 1980 and expanded in 1983 to cater for the growing population in the new town. The feeder buses would stop before the traffic light (shown in the photo above) at the bus interchange for the commuters to alight. Lasted more than twenty years until 2002, the old interchange was then shifted to a temporary location near the Ang Mo Kio Public Library while the new Integrated PT (Public Transport) Hub was constructed. The new air-conditioned interchange was finally opened in April 2007. An underpass link was constructed between the old bus interchange and the Ang Mo Kio MRT Station when the latter was opened in November 1987. The first section of the North-South Line consisted of only five stations (Toa Payoh to Yio Chu Kang) over six kilometers. In the following year, 15 more stations were opened, allowing the Ang Mo Kio residents to travel conveniently to Yishun, Orchard and City Hall. In 1973, the blocks, numbered 213-216, were the first ever flats to be completed in Ang Mo Kio. Three years later, the new town’s first market and hawker centre were added to Block 226. Soon, the first community centre, kindergarten, primary and secondary schools in Ang Mo Kio were also established in the same neighbourhood. The design template of such classic HDB slab blocks and point blocks had been duplicated at new towns built in the late seventies and early eighties, including Ang Mo Kio, Bedok and Clementi. The photos here show an en-bloc HDB flat along Ang Mo Kio Avenue 1. The blocks have been emptied since early 2012. The design were similar to my old Ang Mo Kio flat at Avenue 10, with its recognisable reinforced glass and aluminum window panes, small double-stepped doorway and symmetrical metal door grilles. The slab block design typically consists of rows of two-room or three-room, three-and-a-half room and four-room units. The four-room units are usually located at both ends of the long common corridors. Before the upgrading scheme, the lifts of these flats do not stop at every level. Void decks are multi-functional spaces for the residents living in the HDB flats, which can be used to hold Malay weddings or Chinese funeral wakes. For the kids, a void deck is also ideal for a game of football, despite the no-football sign. The mounted table tennis tables served as a free facility for ping-pong lovers; it also served as a “playground” when someone creatively invented the game of “crocodiles” using the table tennis table. For approximately every ten slab blocks in each neighbourhood, there is a point block made up of five-room units. In 1981, a circular block of flats was constructed by the HDB at the end of Ang Mo Kio Avenue 1. It was an experimental attempt to break through the design of the classic slab and point blocks. Nicknamed the “Four Leaf Clover Flat” due to its shape from the top view, it has 96 five-room units with interior curved walls. Even the water tanks at the rooftops are customised to suit the circular shapes. When it was launched, each unit cost more than $110,000, significantly higher than other five-room flats during the early eighties. The reviews were mixed, as the residents found the curved designs impractical, having to spend more on renovations and customised furniture. The HDB stopped building such designs since then, thus making the “Four Leaf Clover Flat” the one and only circular flat in Singapore. There is a total of nine hawker centres in Ang Mo Kio; the most in a new town in Singapore. The first hawker centre and market began at Block 226 along Ang Mo Kio Avenue 1. As the new town expanded with addition of housing districts, more hawker centres were built to cater for the growing population. The nine hawker centres and wet markets within Ang Mo Kio are: Ang Mo Kio Central Market and Cooked Food Centre, Cheng San Market and Cooked Food Centre, Chong Boon Market and Food Centre, Kebun Baru Market and Food Centre, Mayflower Market and Food Centre, Teck Ghee Court Market and Food Centre, Teck Ghee Square Market and Hawker Centre and Yio Chu Kang View Market and Food Centre. The Sembawang Hill Food Centre along Upper Thomson Road is also listed within the administration of Ang Mo Kio constituency. There are many good food found in Ang Mo Kio. Many of the stallholders have been operating here for more than twenty years. The laksa, Teochew fish ball noodle (Chong Boon hawker centre), Hokkien mee (Teck Ghee Square and Cheng San hawker centres), bak chor mee (Ang Mo Kio central kopitiam), Penang prawn noodle (Ang Mo Kio central S11), satay beehoon (Ang Mo Kio Central hawker centre) and roti prata (Mayflower kopitiam) are some of my favourites. Masjid Al-Muttaqin is the only mosque in Ang Mo Kio, and is the fifth mosque in Singapore to be completed under the Mosque Building Fund Scheme. In the seventies, a place of worship was essential for the Malay Muslim residents who were resettled in Ang Mo Kio. Most of them were previously from the kampongs at Jalan Kayu, Buangkok and Tongkang Pecah (present-day Fernvale, Sengkang), who had to travel to Upper Serangoon and Thomson Road for their religious activities. After two years of fund-raising by the devoted Muslims, it was decided that the new mosque was to be built at a 3,000 square meter site along Ang Mo Kio Avenue 6. At a cost of $1.8 million, it was officially opened in September 1980 with an accommodation of 2,700 worshippers. It has since became a distinctive landmark at the Ang Mo Kio Town Centre. There are many Chinese temples in Ang Mo Kio, one of which is the Potong Pasir Joint Temples Association. As its name suggests, the temple originates from Potong Pasir. It is made up of five Chinese temples that were formerly located at Kampong Potong Pasir. Due to the development of Potong Pasir in the seventies and eighties, the five temples decided to join as one. The association was established in 1982, and was shifted to Ang Mo Kio Street 44 five years later. Another combined temple is Ang Mo Kio Joint Temple. It comprises three older Chinese temples that joined together as one in 1978. One of them was Kong Lim Kong Temple (檺林宫), who has its roots traced back to the late 19th century at Fujian province of China. The other two were Leng San Giam (龙山岩) and Kim Eang Tong (金英堂), established in the fifties and sixties at Cheng Sua Lai and Jio Sua respectively. The third and fourth joint temple are Liuxun Sanhemiao Temple (六巡三合庙) and Chu Sheng Temple (聚圣庙) respectively. The former is made up of three kampong temples, Hong San Chin Huat Temple Association (凤山堂进法殿全盛宫), Sam Ann Fu (三安府) and The Longxuyan Jinshuiguan Temple (龙须岩金水馆), that once served the Lak Xun village. Chu Sheng Temple, completed in 1981, houses three old temples from Yio Chu Kang, namely Ji Fu Gong (集福宫), Hua Tang Fu (华堂府) and Long Quan Yan (龍泉岩). The history of Swee Kok Guan Temple (水沟馆葛岸馆庙) went back to the early 20th century, when it was set up by the Chinese immigrants of the surname”Ang”. The temple began at Buona Vista, before moving to Holland Road and Choa Chu Kang. In the late sixties, there were three Swee Kok Guan temples in Singapore; the other two were located in Yio Chu Kang and Sembwang. In 1977, all three temples were combined to form one Swee Kok Guan Temple at Ang Mo Kio Street 61. Chek Sian Tng (积善堂) at Ang Mo Kio Street 44 is a temple devoted to Avalokitesvara Bodhisattva (观音). Its history went back to the early 20th century, and was located at Kramat Road until the early eighties, before it found its home at Ang Mo Kio in 1984. Chek Sian Tng is also a temple specially for female devotees who wish to commit an ascetic life. The services of Ang Mo Kio Methodist Church was originally held in 1976 in a rented house at Mayflower housing estate. As the number of its followers grew, it decided to build its own building together with two other Methodist conferences (Paya Lebar Chinese Methodist Church and Emmanuel Tamil Annual Conference). The church was completed at Ang Mo Kio Avenue 1 in 1981, and was upgraded several times over the years. The barren ground in front of the church shown in the photo has been developed into Bishan-Ang Mo Kio Park. Other churches in Ang Mo Kio are St. Thomas Orthodox Syrian Cathedral (built in 1983), Bethesda Hall at Ang Mo Kio Avenue 4 (1984) and First Evangelical Reformed Church at Yio Chu Kang Road (1994). Catholic Church of Christ the King, the only Catholic Church in Ang Mo Kio, was opened in September 1982 at a cost of $3 million. In the seventies, the Catholics living in the vicinity of Ang Mo Kio had to travel to Upper Thomson (Church of Holy Spirit) or Serangoon Gardens (Church of St Francis Xiavier) to call their parish. In 1999, its old building was demolished and replaced by the current church. The first ever community centres in Singapore were the Serangoon and Siglap Community Centres, both opened in May 1953. The initial objectives were to encourage participation in grassroots activities and to promote grassroots leadership. Today, there are as many as 105 community centres or clubs in Singapore. Ang Mo Kio has five community centres, namely Ang Mo Kio CC, Cheng San CC, Kebun Baru CC, Teck Ghee CC and Yio Chu Kang CC. The first community centre in Ang Mo Kio, however, began in the mid-seventies at a humble corner of Block 226B, along Ang Mo Kio Street 22. Opened in December 1978, the original Teck Ghee CC was located at Ang Mo Kio Avenue 1. In 1991, the former Chong Boon CC at Ang Mo Kio Avenue 10 was renamed as Teck Ghee CC after Teck Ghee became part of Ang Mo Kio Group Representation Constituency (GRC). Chong Boon CC itself was originally housed in a small room at the void deck of Block 408 of Ang Mo Kio Avenue 10. A nearby venue was later chosen to build a new $3 million building with modern facilities such as basketball, tennis and squash courts, library and multi-purpose rooms. At its groundbreaking ceremony in September 1982, various religious leaders were invited to bless the project. The new community centre was officially opened in 1983. An interesting trivia about Teck Ghee CC is that in 2008, actress Gong Li received her pink identity card (IC) at a citizenship ceremony held at the community centre. Like Teck Ghee and Chong Boon CC, Ang Mo Kio CC and Kebun Baru CC were also built in the late seventies and early eighties respectively. Meanwhile, Yio Chu Kang CC and Cheng San CC have their histories traced back to the fifties and sixties. I have forgotten how much time I had spent playing basketball at these community centres. The construction of Ang Mo Kio Swimming Complex by the HDB in 1982 was welcomed by the residents of Ang Mo Kio, who otherwise had to travel to Toa Payoh if they wanted to enjoy a dip in the water. The prominent red-tiled swimming complex with triangular roofs, situated off Ang Mo Kio Avenue 1, even won the Singapore Institute of Architects’ Architectural Design Award in 1986. One of four remaining dragon playgrounds in Singapore can be found standing at the junction of Ang Mo Kio Avenue 3 and Avenue 10, with its sand box refurbished with rubber mats and its metal body repainted. There used to be many sand-based playgrounds scattered around Ang Mo Kio during the eighties. After 1993, these old playgrounds were slowly replaced by the newer and safer plastic playgrounds. At the entrance of the carpark to the blocks of 216-222 stand a pair of Merlions. They were built by the Ang Mo Kio Residential Committee in 1998 at a cost of $13,000. The pair was almost forced to be removed because of the infringement of copyrights, due to the fact that the Singapore Tourism Board (STB) owns all intellectual properties of Merlion. In the end, the Ang Mo Kio Merlions managed to stay on, and have become the iconic features along Ang Mo Kio Avenue 1. Ang Mo Kio Town Garden East is the new town’s first town garden. Built in the late seventies, it was formerly part of Kampong Cheng San. Rubber trees and nutmeg groves used be grown all over the small hill. Today, some old rubber trees still stand in Ang Mo Kio Town Garden East, witnessing the tremendous changes in its surrounding environment in the past few decades. Ang Mo Kio Town Garden West, on the other hand, was developed in the eighties at the hillock on the other side of the town centre. It was designed and developed by a Japanese contractor company at a cost of $2.7 million. The fascinating part about Ang Mo Kio Town Garden West is that it still contains the secondary forest and its original vegetation and terrains. Certain stretch of the former Cheng San Road was also incorporated into its current footpaths. Between 1975 and 1983, the National Day Parade was held in alternate years between centralised and decentralised locations. The centralised locations referred to the National Stadium and Padang, while the decentralised locations were the residential neighbourhoods such as Ang Mo Kio, Toa Payoh, Redhill and Queenstown. The Ang Mo Kio residents were delighted when the National Day Parade in 1983 was chosen to be held at Ang Mo Kio. That was the last time the National Day Parade was held at a decentralised site. In the nineties, some of the mobile column of military trucks and tanks would drive past Ang Mo Kio as part of their routes through the heartlands. Chingay was another annual parading event celebrated by Singaporeans. I remember as a kid, I waited enthusiastically by the roadside to watch the likes of lion and dragon dances, and beautifully decorated floats (mounted on top of those old trucks) drove past. Chingay, literally means “art of masquerade” (妆艺) in Hokkien, was originally a street celebration of the Chinese New Year festivals with the addition of the celebrating the birthdays of Chinese Taoist deities. Its local history went back to the 19th century, but the annual event, deemed as financially extravagant and culturally backward, was abolished in 1906. When the firecrackers were banned in Singapore in 1972, there was unhappiness among the local Chinese, as it dampened the festival mood of the Chinese New Year celebrations. As an alternative, former Prime Minister Lee Kuan Yew proposed the revival of Chingay in Singapore. Hence, the first Chingay parade was held successfully in 1973, and subsequently it was organised annually at Toa Payoh (1974), Marine Parade (1978) and Ang Mo Kio (1984). In the late seventies, Chingay had evolved into a multicultural event with the participation of the Malay and Indian cultural performance groups. Like Queenstown, Ang Mo Kio also has a VIP block. It is Block 710 at the Ang Mo Kio Town Centre, where foreign dignitaries visited during their tour to Singapore’s model housing estate in the eighties. In 1989, on her second visit to Singapore, Queen Elizabeth II was brought to Block 710 to enjoy a panoramic view of Ang Mo Kio. In 2004, I moved to Sengkang after living in Ang Mo Kio for 25 years. I still returned there every now and then; for a haircut, a game of basketball, or simply enjoy a meal at the hawker centres or kopitiam I am familiar with. This entry was posted in Nostalgic and tagged Amoy Quee Camp, Ang Mo Kio, Ang Mo Kio Avenue 7, Ang Mo Kio Bus Interchange, Ang Mo Kio Methodist Church, Ang Mo Kio MRT, Ang Mo Kio Public Library, Ang Mo Kio Swimming Complex, Big Mac Centre, Broadway Cinema, Catholic Church of Christ the King, Chek Sian Tng, Cheng San, Chingay, Chong Boon, Chong Li, Community Centre, Dragon Playground, Feeder Service 261, Four Leaf Clover Flat, Hawker Centre, John Turnbull Thomson, Jubilee Cinema, Kampong Amoy Quee, Kebun Baru, Kong Lim Kong Temple, Masjid Al-Muttaqin, Mayflower, Merlion, National Day Parade, New Crown, Oriental Emporium, Potong Pasir Joint Temples Association, Queen Elizabeth II, Singapore 1980s, Teacher's Estate, Teck Ghee, Town Centre, Traffic Garden, Upper Thomson Road, Void Deck, Yio Chu Kang Road. Bookmark the permalink. I like your research especially about the origin of names. How fascinating! Wow you spent a lot of time and love on this post! This is such a wonderful detailed look at Ang Mo Kio–thank you! My grandparents have lived there for over 30 years and I have fond memories visiting them there and walking around Town Center. The library.. what a memories it brings. Dropping off the kids, picking them up etc. Now kids are all grown up and looking back at the pics. is to relive those days gone by. I wonder, there is this tip top curry puff, my family favorite and if it’s still there. Thank you for sharing, awesome job! A+!! Tip Top is still around. In fact, they open a few more branches in Tampines and Plaza Singapura. But i think its a different owner now, not the same as before. In the same coffee shop years ago in the 80’s, there was a stall selling curry chicken noodle and laksa, awesome. Wonder where they have move to ! Hope to have some feedback. From the bottom of my heart. Thank you for piecing the history together. What a walk down memory lane. One of these days, I have to take my kids to show them where I watch movies, my first date etc. Thanks again. is this at blk 409? By the way, do you used to stay near Tech Ghee CC? Thank you for bringing back al those sweet memories. I’ve migrated to Bali since 1995 and I’ve not been back to AMK area since then. My parents are still in Singapore, but they are staying in down town (Chinatown area). When I read about your favourite food at the hawker centres, you really make me go hungry, as I can’t get all those food over here. I really miss all those food. Hope to go back soon…..
Come back home to Singapore ! Beautiful! I used to live in Block 102 @ AMK St 11. It was a rental flat from 1978 to 1984. You should make a mention about Fitzpatrick’s that used to occupy the space that is now Jack’s Place and Courts. It was the place to go to shop for groceries back then. Fitzpatrick was downstairs and the Thai restaurant upstairs called Chao Phraya. Jack’s Place back then had a bar as well. The wonderful memories….I stayed in the same neighbourhood as you, in blk 405 but I moved to Sengkang much earlier in the 2000. For what you know, we may have play together before when we were young at the Dragon playground between my blk and blk 406…:P.
Great piece of work! My memories of olden days Ang Mo Kio just came flooding back! Chong Li is actually now Pathlight School, not Chong Boon secondary! Pathlight is still located at the former Chong Boon Primary. I too thought they completely move to the new Campus but apparently the few times my CT8 Bus go pass the Area, I see that the Sign showing the way to Chong Boon Secordary also indicate Pathlight School Campus 2. It is Pathlight school campus 2! Pathlight school started in 2004 until 2009 term 2! THis year 2012, PL school have increased want to find space for PL buildings! so, my school used old PL buildings! NOw is PL campus 2! Used old CHong Li primary school again! Chong Li is the building that was in the middle, between Chong Boon Primary and Anderson Secondary (whose building was previously occupied by Ang Mo Kio North Primary I think). Thank you, thank you, thank you! 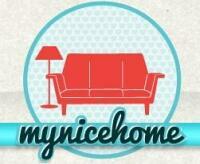 I was borned in Sept 1980 and lived in the same AMK flat all my life until I migrated. Mom & Dad are still living there, and I am always dismayed by the changes, causing extensive ‘injuries’ to my childhood memories. Your pictures almost brought me tears just recalling my happy days at those iconic landmarks. I moved to Ang Mo Kio when I was ten, and transferred to Chong Li Primary School, in 1981. The school has just started then, with no building of its own, so we had to borrow the campus of Braddell Secondary School. It was really fun then, I remembered Miss Chua, the music teacher who was so full of enthusiasm and love. In fact, most of the teachers in Chong Li were really good! I still remembered when KFC just opened, it was quite a “posh” place, with real china plates and forks and spoons, it was a sit down “restaurant” with servers. And there was this dessert stall in the Ave 6 Central hawker centre that created all kind of desserts for students from AJC. And oh, the second hand bookshop, it was really the best! Broadway cinema was the more hip cinema among the few back then, with quite a number of hollywood movies, I remembered catching the movie “The Fly” and “Star Wars- Return of the Jedi” there. Thank you for all these memories! Arcade shop at New Town/New Crown? Wasn’t the biggest hangout Paco Funworld at the Mac building?! The Queen also visited Townsville Primary where I was there to welcome her. Strikers’ Bowl was on the top floor. Speaking of Paco Funworld, do you remember the bumper cars at Level 1 and the miniature slot-car track on Level 2? We might have bumped into one another at Paco for all we know! Wasn’t Mac occupying levels 1 & 2? A piece of good writing. I really enjoyed it. Thank you. This is amazing my friend. I have lived in Ang Mo Kio , the same flat all my life – from 1981. I can send you some photographs as well if you would like that. Thanks. I studied in Mayflower Primary. Unique octagonal buildings. Now demolished. What a pity. I studied at MFPS too year 94 – year 99…Yeah! Now it became AMK Primary School! Wow, I was from Mayflower Primary too (82-87), and absolutely loved the campus. My son was later enrolled at the new campus and they have lifts, so much has changed. We were in the same neighbourhood 🙂 I went to Teck Ghee Primary School – it’s still there but only in name as the logo, motto, school song and even uniform have all changed.. I went to Anderson Secondary School as well – still remember moving flower pots during the move to its current site!! 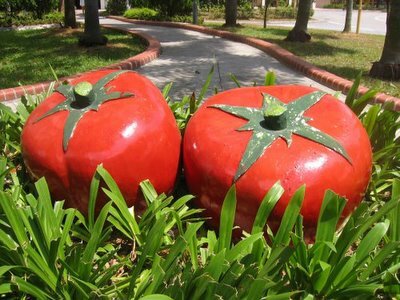 I commented on this before in one of your other posts but since this post is on AMK, I just like to remind everyone reading this about the giant tomatoes in the town centre around Big Mac Centre in the mid 2000s – cute! Do you know where the giant tomatoes have shifted to? or are they demolished already? They are now located in between McDonald and Block 700C, before Central Heights. Thanks so much for the forgotten history of AMK. I am a new comer to Ang Mo Kio. Cool! Which batch were you from for both schools? Hey Am, that’s what I heard from a friend still living in AMK too! I can’t wait to go see them! Ah yes, that good o’ A&W Restaurant over there in the 80s? I remember the place was always very packed then, and it was my 1st time tasting root beer with ice-cream (float) wth my sisters. Initially I thought it was beer until I tried it 🙂 Thanks for the good o’ memories! I see the A&W in the background. Still remembers the Root Beer Float and Coney dog. Almost forgot about the traffic games, now recalled that it was between A&W and the Food Centre. The Satay Bee Hoon, Carrot cake and Western food is still around. But the AJC dessert is no longer around. Thank you for bringing back the memories. When I was in Primary 1 in 1981, all the schools are still under construction, so they housed everyone in what was Mayflower Secondary School, beside where Ai Tong Secondary. And I remember the classes were named from 1AA all the way to 1YY! Yes! I was in 1EE. We even had prefects who were also P1 since thee whole school only had P1 students. Thanks… your article brought back wonderful memories for me… I was from Chong Boon Primary and Anderson Sec so I guess we could have known each other. I move in to ang mo kio in 1979 from yio chu kang kampong next to amoy quee camp and now i’m still living in here. I love this place so much and will stay forever!!! I am from Chong Li Primary & Anderson Sec as well. 1977 batch. Still living in Ang Mo Kio since moving there when I was 5. Got married and bought my place in the same block..I cannot imagine myself staying somewhere else…So much have changed and thanks for the nice pictures and reminders, especially the fountain and traffic park! yeahhh.!! thanks for bringing back the memories…..i used to lived where the Merlions entrance along ang mo kio ave 1,block 218…i’m an ex Mayflower pri batch 1986-1989 and Da Qiao pri student batch 1990-1994… still remember the old Mayflower pri building..unique octagon shape where old Ang Mo Kio pri were just beside with Mayflower pri and Bowen Sec…..
thanks for letting me know about ang mo kio one things missing is I need to know the population of ang mo kio back in the 1970s. I have been living in Ang Mo Kio since birth. I lived in Block 109 at the junction of Avenue 3 and 4 from 1978 up to 2001. The estate brings back a lot of memories, both good and bad. Brought back so many memories! I have been living in Ang Mo Kio since I was born in 1980, and I can identify so many of the landmarks. I miss the huge fountain outside Oriental Emporium and the cinemas that issued pink/yellow slips of paper as movie tickets. Thank you for all these wonderful old photographs. Must have taken you quite some time. Very interesting story! As I understood, Hokkien is a dialect of Chinese language. Is this true? The dialects used by Singaporean Chinese are mainly Hokkien, Cantonese, Teochew, Hakka, Hainanese and Hockchew. This is because most of the ancestors of Singaporean Chinese came from the Southern provinces of China between the 19th and early 20th century. However, many of our younger generations are unable to converse to each other in dialects now, due to the Speak Mandarin Campaign in the 1980s and the widespread usage of English as first language in our society today. Is there a big difference between the dialects? So I mean – if someone is talking in Cantonese, you will easily or hardly understand it? Who formerly lived at Blk 454 or 455 at the junction of Ang Mo Kio Avenue 10 and Avenue 3? After so many years, it still remains an empty plot of land… then why en-bloc the blocks in the first place? I was at HDB Hub a couple of weeks ago. That spot has been earmarked for a few 40 storey blocks. Seen the models. I have managed to regroup abt 21 old boys & girls of 1978 together. I am still in touch with some of the friends born in 1979 too. WOW…Great to see the pic..remind me of my childhood… Any ppl from Ang Mo kio North Primary sch years 81-84? Thank you for the memories. Im also an AMK resident for 30 years. Good to know you. Awesome! I was looking for PA’s kindergarten program in the CCs during the 80’s (not much info found) which was different from the PAP’s kindergartens, when I came across your website. Thanks for providing insights to the origin of the places and names. Thank you for the memories and nostalgic photos. I moved into Ang Mo Kio Ave 10 in 1980 and lived there until 2000 when I moved to Seng Kang too. I went to Chong Li Pri & Anderson Sec as well, so we might have crossed paths along the corridors outside our classrooms. I can still remember packing books in the Anderson library for its move from the old campus to its current one in AMK Ave 5.
thanks for reminding once again those good old memories of singapore. how can i forget those beautiful days when i was in singapore in my golden and youthful youth! memories are still vibrant n alive n kicking. still i m searching for my lost friends of singapore. hope some day i will be able to find them. thanks again. Thank you for bringing back all my childhood memories. I still remember having fish ball and char bee hoon after swimming in AMK swimming pool. I lived in AMK for almost 30 yrs. My family move twice, but still within AMK. I’m now living in Shanghai with my own family while my mom has moved to live with my brother in Yishun. Excellent site and thoroughly enjoyed the writeup and photos. Kudos to you. It’s very good to read about the history of AMK. We moved into YCK near AMK Avenue 4 in early 90s and were always fascinated to earn more on the history of AMK. One can find very little of the old in AMK these days, so good effort on your part to collect the old photos and do the writeup. My parents were both teachers and they could not afford a house in teachers’ estate so they rented one in Sembawang Hills, where there was a grand prix, and weekly pasar malams on Old Upp Thomson road. Later we moved to AMK Ave 2 (Ave 2, the road, had not yet been built but our address was Ave 2). Beside our block (now vacant and being demolished) were big open fields where people caught grasshoppers and flew kites, some were later made into open air carparks (there were no HDB multi-storey car parks). Beside our block was Shang gri la estate, for some years it lay unfinished as the developer ran out of funds, and further up the valley behind there were still kampongs and farms. We could smell the pig farm smell from farms somewhere around. Bishan park was a cleared wasteland of thorn bushes and orange mud. Once a year a big expo/fun fair would set up shop there, selling all kinds of things and with rides for kids. There were still streams in the area containing guppies, catfish, eels, snakeheads, and goramies. There were provision shops that sold fishing tackle and rubber tapping lamps, and kept change in a tin on a pulley. Most of them had to pay protection money to gangsters who would sometimes fight with rival gangs. a bangladeshi student, lived in singapore for 6 years. studied, worked. now in my 40s. lived in beautiful ang mo kio with my native friends. now don’t know where they are and what they are doing. life just goes on. 1991~~~~~~~~~~~~~~~2013……….long 21 years…….. when i saw n read this article. tears just came out without informing me. suddenly i went back to those good old dayz. i had a friend named VINCENT TAN from that block. he was 50+ at that time…..still i have photos of him and also some faded beautiful memories of my loving singapore. i wish i could visit that beautiful country once again with my family……..don’t know why singapore is there in my memory that much!! lost friend: DANIEL PAUL, CHARLES, SALLY HO, JUDIE, RAHMAN (SINGER) ARE U THERE? VASANTA ARE U THERE? AUNTY LINDA, HOW R U? JACK, UNCLE JERRY………..I MISS U ALL, EDWIN HOW R U MAN? if any singaporean can help me to find RAHMAN the singer? he’s a singaporean indian. will be thankful if anyone can give his email address. My cousin lived in avenue 10, block 539 when I was a kid. I remember it was always nice visiting him at ang mo kio because I would get to shop at Fitzpatrick Supermarket. I remember eating thai food for the first time at Chao Pharya (spelling probably wrong) restaurant. If you dont mind me asking, how old are you? Same here! I attended Chong Li Primary school too! which school were you from? everytime when i see these articles i just get nostalgic. even though i was there in ang mo kio for some years but i don’t know why those memories are so vibrant n painfully beautiful. i remember the adjacent part. it was quiet but splendid. singapore is really a peaceful country i must admit. love you singapore……….. THANKS for the great recollections. I’d wanted to do a write-up way back 2008 or so, but other priorities took over. I started collecting photos of the temporary bus terminals at Avenue 6 ( beside Block 302 ) and Street 22 ( beside Block 205 ? ), etc for the write-up…… you beat me to it ! Well done ! You were tired old man with burning memories. And you had nothing to do but frawn……. Revolving only in my mind………. Singapore was there in my grip for 6 years? Why I had to come? Thanks for the memories!I am now 32 and I spent my childhood days when I was growing up in AMK!Me and my family moved to Yishun when I was 10 years old.Me and my family would occassionally go to AMK for shopping or to have a walk.I still miss the AMK Library-its much bigger and more spacious than the one in Yishun Northpoint! And also,I still miss those days when I was studying at Ang Mo Kio North Primary School(1988-90). Too bad,that school does not exist anymore.If I am not wrong,it is now replaced by Tao Nan school. Hi Valeria, I was from the same batch in HDPS, just had a reunion with some of those we managed to reconnect with through FB. which class were u in? Thanks for the memories. I do not live in AMK, but has friends in AMK. Used to “torn” in AMK till the first bus home is available. The HDB point block near Oriental was our fav spot. Still can remember and visualized the fountain, Oriental, A&W, the gardens and without MRT….. Brought back a lot of good memories. Thanks again for all the hard work. I am now intrigued about the missing Ave 7 and Ave 11. Any further insights? There must be a good story in there! With many thanks to one of the readers Andy Tan, we have solved the mystery of the missing AMK Ave 7! In Andy’s old map of 1978, Ave 7 was clearly listed among one of the proposed roads (together with Ave 9 and the extension of Ave 8) in the expansion of AMK new town. And it was designed in the parallel order between Ave 5 and 9. However, the road was never built. The extension of AMK Ave 8 was linked directly to AMK Ave 6 instead. The extension from Avenue 8 to join up with Avenue 9 was never built, Yio Chu Kang MRT station and the bus depot currently stand on that junction. Thanks for this. It’s so cool to find out more about my estate. I have some scans of maps of AMK from old street directories. If you like, I can email / dropbox them to you. Once again, thank you for this wonderful post. Thanks for the memories. The old interchange toilet is always the standard meeting place when we have no pagers n handphones during our era. Thanks for the effort! Hey thanks ! Great memories! Spent my childhood,remember A&W,ate my first waffles ice cream,buy groceries,shopping.Everything can be found at AMK! Stayed there at Blk 103 ave 3 for 13 years,went to PAP kebun baru and Mayflower Pri (year 94 – 99 ). Thank you for posting this! Brought back fond memories of growing up in AMK and hanging out in what was then a very cool town centre with Emporium, cinemas, library and A&W. And tip top curry puffs! I studied at Chong Li Primary too, and I still live on Street 44. Great read. this is amazing. thanks for the research and hardwork for going into this. AMK North is my primary school! Jack’s Place at AMK Central, beside the library, is a cornerstone since 1980s! Amazing write up! All my fond memories of AMK came to mind as I see all the old photos. Oh my! A&W, BK, the stand-alone music shop at the open area near the large S11 (to buy cassettes), Emporium, old bus interchange, the mini road safety park, kachang puteh mobile kiosk outside Broadway Cinema, etc etc. At one time, there used to be 3 supermarkets in AMK central, Shop N Save, NTUC and “top” something (off hand can’t remember the name). If I recall correctly..that cassette shop also provide customized tape recording services. Yes, AMK is certainly memorable! Very nice write up,it brings back so much memories..live in amk from 1978 to 1995,before I move to bedok. Till date, I still think amk is the best town in Singapore!! Studied in Mayflower primary from 1985- 1990 n amk sec from 1991-1994..many many memories and friends from the place…y did they tore down the unique building and Yes,I saw the same building design along Delta road.. I used to live in Block 102 at St 11 from 1979 to 1984 on the 11th storey. It was like a mini kampong there. The family that we were closest to was a Chinese family. I spent alot of time in their home during the day. They even fed me my meals. I remember a gentle lady whom I called Kak Lily and her brother Abang Ah Kwang. They called me Boboi. Their family was truly an embodiment of the kampong spirit. They moved to Hougang Ave 1 after 1985. I wonder how they are doing nowadays. Near the Block 724 market, there is a Chinese shrine housed under a tree. This shrine is taken care of by the market and hawker centre stall holders. According to them, a statue of Tua Pek Kong was found in the early 1980s by a stall holder under this tree. Finding the statue unusual, the stall holder installed it in the market and worshipped it. Other stall holders also began worshipping the deity. One week later, the statue was stolen though the urn remained. The hawkers thus installed another statue of the deity and built an altar for it. In 2004, the market underwent upgrading, and the statue had to be shifted. The stallholders thus came together and constructed a shrine for it, under the tree where the story began. As modern Singapore grew around it, the towering ficus tree stood firm. For four decades, it bore witness to the prayers and dreams of devotees who worshipped at a Buddhist shrine at its foot. That was until last week, when a storm brought the six-storey landmark in Toa Payoh Central crashing to the ground. For worshippers drawn to its Goddess of Mercy statue and four-faced Buddha, the collapse of the great tree seemed to signal the end of an era. But the area’s residents are not ready to let go just yet. Toa Payoh Central Merchants’ Association told The Straits Times that it plans to erect a new shrine by Chinese New Year, with the remaining parts of the ficus as its backdrop. ”We will rebuild the shrine so residents here can continue to be protected by the gods,” said vice-chairman Lim Kok Siong, 66. Regarded by believers as a ”shen shu” – or ”god tree” in Mandarin – the ficus was said to be more than a century old. The mighty tree pre-dated Toa Payoh New Town itself, on which work began in 1965. Its shrine, known as Ci Ern Ge, was added soon after the town was built. Now, only a part of the trunk is left after the tree toppled during the storm – damaging cars but causing no injuries. The Housing Board and Bishan-Toa Payoh Town Council are helping to stabilise the tree’s remains. On Wednesday, residents continued to linger at the spot where it fell, some out of sheer habit and others to trade tales and memories. They shared stories of how the tree stood the test of time, weathering the occasional thunderstorm and dodging the developer’s axe. Retiree Foo Ah Cheng, 78, remembered seeing bulldozers try in vain to fell the ficus as the new town was being built. He said monks even offered prayers calling for the tree to give way. ”They wanted to get rid of it, but it wouldn’t go,” he said in Mandarin. Residents believe the Government wanted to build a long row of shophouses, but split the development in two to accommodate the ficus. From its precarious past grew longevity. Over the past decades, a steady stream of devotees have offered prayers for goodwill each time they passed the shrine. Some believe it was responsible for 4-D lottery windfalls. Even the tree’s leafy crown seemed to extend goodwill to residents. Mr Foo recalled how the ficus became so lush that its leaves kept the shrine and devotees dry when it rained. He said the original caretaker was a monk who brought the statue of Goddess of Mercy Guan Yin from China and had a habit of sleeping under the tree. When the monk died of a heart attack in 1975, his son Chen Zhou Rong took over. Now 53, Mr Chen remains the caretaker. He has stayed on-site come rain or shine – greeting visitors who arrived at all hours to seek solace from the tree and the gods lining the shrine’s altar. Now that the ficus has toppled, however, Mr Chen believes his promise to his father has been fulfilled and he will be returning to his hometown in Malaysia. Most residents were wistful rather than downcast at the tree’s collapse. As well as attracting devotees, the shrine also used to elicit ”oohs” and ”ahhs” from curious onlookers and tourists from afar. ”The tree was very, very beautiful and many would take photos of it,” said retiree Lu Siew Bao, 60, who lives in the block next door. Others, such as 65-year-old Yang Mei Hong, who grew up in Toa Payoh, felt the tree could have been saved had the authorities recognised its heritage value and placed supports to buttress it. Thank you for the wonderful journey down memory lane. Hong Dao Pri Sch, 1985 – 1990. Blk 649, 1981 – 2000. I used to stay in AMK for 17 yrs since 3 at st 64, block 644. I went to Hong Dao Pri and Anderson Sec, am a 1976-er too! I still frequent AMK a lot although I’ve moved as my mum still has a shop there. Nice article, brought back lotsa memories! Thanks! I used to live in Blk 633 since 1981 and we are neighbours! Thanks for bringing back all the chidhood memories. i shifted to AMK when i was 6 and have been staying there till now i am 40 . My Primary school Chong De Primary no doun’ts already gone but those days were just like yesterday to me and also my secondary school Anderson Secondary when it was at AVE 10 where the present Choon Boon secondary school is. Times flies 34 years of sweet memories of AMK ! Hi there! I’ve been staying in AMK my entire life (since 1977), and I still remember all those places you described and in those pictures too! Was the old AMK bus interchange upgraded sometime after 1980? I seem to remember the location of the bus berths differently. I really love you write up about AMK. It remind me of the wonderful memories around AMK neighbourhood. I stayed at Blk 559 AMK Ave 10 in 1979 when I were still a baby. Started schooling at Chong Li Primary Sch in the year 1986. During that time the school system hv extended and mono classes. From pri 5, I went to 7 extended then 8 extended took PSLE and flung. Stayed back again retook PSLE. After I pass PSLE, we shifted in 1994. The memories of AMK will be in our hearts forever. Thank you for bringing back all the fond memories of old AMK! How can you remember so much and write them in such great details? I’m also born in 1976, studied in Chong Li primary school for primary 1 and switch to AMK primary school from primary 2 onwards. I wanna thank all my classmates in Chong Li primary school for helping me after my appendix operation. I was so sad to part with all my nice classmates as my mum prefer me to study in AMK primary school as it is closer to our flat. Thank you for the memories! I stayed in AMK for 20 years from 1980-2000 before moving to Hougang. When we first moved into Blk 547 AMK Ave 10, we were right at the edge of AMK at a corner flat on the topmost floor. There was no AMK ITE (now Rosyth Pri Sch) and no CTE. My family watched the construction of CTE every step of the way and saw how it developed from a very under-used expressway to the grossly over-used one today (well, at least till 2000). We are of the same age by the way, so we may have common friends although we didn’t go to the same schools. Many of my secondary school friends (school is also in AMK) lived along AMK Ave 10 and could have well attended Chong Li Primary School. Who remember the old greyish block at AMK Central (its first level was OG departmental store in the 80s/90s and now houses NTUC)? I can’t remember what was on Level 3 & 4 then, think it was a Restaurant or something else as Sembawang Bookstore/Sportlink didn’t move in till like late 90s or early 2000, after Oriental Emporium had moved out (or just before). Still remember how Sembawang Bookstore/Sportlink used to be 2 shops along the same row as the Crafting/Sewing Shop (Elise?). Hmmm… I remember Oriental Emporium was beside the Big Mac Centre (formerly a cinema) along AMK Ave 3 instead (now AMK Hub). One was called Plaza (Ang Mo Kio) while the one opposite Big Mac/S-11 is simply called Ang Mo Kio. My Saint Seiya Figurings used to be keep inside the 90s version of Oriental Emporium Plastic bag and am referring to it now. Thanks for bringing back fond memories of Ang Mo Kio. We were one of the early batches of folks resettled from Potong Pasir attap houses. It was our first time staying in a flat. We used to stay at Blk 577 AMK Ave 10. Just nice. I just shifted from Woodlands to this block. Yup, bought a resale flat here and never looked back! Oops,sorry,I am wrong.AMK North Primary School is now replaced by ASPN Chaoyang school. Anyway,I would like to further reveal I used to live in Blk 210,Ang Mo Kio Ave 3. More than 12 years ago, my school Pathlight School, was formerly known as Chong Li Primary School before 2004. A heartfelt memory, I wouldn’t have able to recall the image without your valuable pictures. You let me once again know what is Ang Mo Kio – its historical moments! If ever NDP can be brought back to every neighbourhood, every citizen can witness the moment, its gonna be magical! Thanks you very much for putting this memory up here! I enjoyed reading your articles on ang mo kio very much. I am wondering if anybody knows where the hawker stall selling very good laksa and chicken curry noodles has moved to. They used to be located at a coffee shop at blk 722 (next to Jubilee and where Tip Top curry puff is still located) in the 80’s. I have always loved their chicken curry which is chicken cooked in the curry and pour over wanton noodle and different from the present type of curry gravy with steam white chicken over yellow noodle. Nobody has been able to tell me where they are now. I chance upon this site to reminisce my childhood years at AMK. The stall you are looking for, by any chance its called Yi He Yuan? They served laksa, curry chicken noodles, wanton mee, shredded chicken hor fun etc? With thick mushroom sauce? I’ve proud to let you know the stall owner’s my mum. We have closed down due to rental price hike. We tried to operate at Amoy St and Maxwell Market. But we were drowned in by the famous stalls over there. My mum have since gave up looking for place to open another stall. Thank you for remembering us. Who knows we might just be back. Oh, nice to be able to connect with the son of someone whom I remember very well. She was friendly, and I used to wonder whether we met before. That was the feeling that I had when I placed my first order with her ! Pls convey my best regards to her. To help her recollection, I was the customer with a rosy face, curly hair n used to patronize with my girlfriend for breakfast. I used to work nearby her stall too. Can see me on facebook, David Sia Boon Sen.
Do let us know when you guys will open the stall again. sad to hear this…. the rentals are killing our favourite hawker food!! Excellent write-up, and a million thanks for the beautiful walk down memory lane. I stayed at block 458 in the 80s and 90s. I remembered Ms. Leong who was my home room teacher and Ms Chua who was the school’s music teacher. I was from the Angklong and Choir Club which was led by her too. My friends and I used to go up to the stage during Monday Assembly hours to do short plays based on certain morale themes. Hence , we used to hang around the backstage quite often. My classmates and I used to look out for my little brother from our classroom on the 4th level . He would usually stood on the sofa and flatten himself against the window grills from our flat looking at the classrooms on the fourth level for his sister. However, it was easier for us to spot him. He was always a good distraction for me and my classmates from some boring lesson periods especially during the last period when we were all ready to dash home for lunch. Watching him was a secret entertainment for us. I heard 409 mkt is still there and some of great food I had in the 80s was the prawn noodle or Beehoon soup and soup dumplings from a different stall. The soup dumplings had prawns and black fungus inside. I think it’s rare to find black fungus in soup dumplings nowadays. Next to this market was a row of shop houses that one will see from the feeder bus stop of 216. This steamed bun shop was really yummy. Chicken with hard boiled egg in the bun. It was very popular among the residents. I’m not sure if it is still there. The popular laksa stall, if that’s the one you mentioned, has moved to the neighhouring Chong Boon Hawker Centre several years ago. It remains popular till this day. As for the 409 Hawker Centre, it has been upgraded recently but most of the old stalls were not around anymore. Except for the old school wanton mee. Remember Singapore, Chong Boon Hawker Centre is the one at the junction of Ave 10 and Ave 3 right? I remember the uncle at the you tiao stall facing Ave 10 looked like an older but still dashing version of Zhang Xin Zhe!! Nicole, the bao shop “hor hwa hiang” is long gone. Sure miss the 好和香鸡肉包. It’s a pity they are gone. There’s the bak chor mee facing the car park entrance, the plump uncle is still there busy cooking away. Business is good; expect to Q. Duck rice, 水饺面auntie & mee siam/mee rebus are all there. At night the only oyster omelette stall still opens. They still taste the BEST!! The Seletar Broadway wedding studio has been around at AMK Ave 5 since 1980. Currently one of the oldest shops in AMK! I studied in St. Nicholas Girls’ School for ten years. Remembered catching ‘Jurassic Park’ at the New Town/New Crown cinema with the hand-scribbled tickets. And I remembered that i was first introduced to arcade games in Sec 3 by a friend of mine who stayed at Teachers’ Estate. Our favourite game then was Outrunners, but I later moved on to Virtua Fighter and Time Crisis. Incidentally, the Seletar Broadway Wedding Studio was where I took my graduation shots after graduating from university. Wonderful and very detail write up. Thanks for bringing back those memories esp now I am thousands miles away from home. I was from Li Hua Pri which no longer exist.. I was from Anderson Sec too. I remembered spending many of the after school afternoon playing basketball at TGCC too. I was reading a post that said the very popular laksa stall that used to be located next to Jubilee Theatre is now at Chong Pang market? I really miss their food and I was sad that they left and no idea where they had gone to..
Do you guys remember the boss of Charles and Keith? His mom used to have a shoe outlet in AMK Central? At least someone has done well globally and is from AMK..lol.. I am sure at one point in time we could have walked pass each other while staying in AMK. Good read really. Really brings back alot memories for me, I lived in Ang Mo Kio Ave 3 but attended school, in Ave 10. So, you did mention stuff that really jolted my memories, the old AMK interchange, Bus 261…of course Chong Shan Primary, interestingly thought is the school is still standing! Yup, my childhood was really different compared to kids these days, there were days we went to pluck mangoes from those semi detached houses in mayflower gardens, catching spiders from Ang Mo Kio Town Gardens, etc..lots of playtime under the void deck…I went to secondary school in YCKSS, though I moved to Bishan by 1991, AMK was still central to my younger days and even some after 20 years since leaving secondary school I still go back to AMK from time to time with my two kids in tow. Who remembers Paco fun world, it was amongst the first tenant of the cinema since torn down for the new MacDonald building. The one movie I remembered watching was Stephen King’s Firestarter, my tuition teacher brought us there. I also remembered playing inside that water fountain next to the cinema. Memories! Good old memories! Thanks for the interesting writeup and many good pictures that I could identify with. I had moved to AMK since 1980, thats when i was 5 years old. Studied, Played, Grew up and got married. Managed to get a resale flat back in AMK. Thank you for sharing. Love the writeup. All of what being mentioned is true. I love AMK area alot. Am from Kebun Baru Primary. A pity there is no such school BUT the building is still there. Thank u so much for taking the effort to write thus and share with us. I’m reading this in New Jersey (USA) where I’ve emigrated to, a few weeks since. I moved to Ang Mo Kio in 1976 to Block 229 along Avenue 3. I was a one year old baby then. My block was one of the first few completed blocks in the estate, right after the first batch (blocks 213-216). Ang Mo Kio was pretty much under construction then, according to my folks. They had to walk out to Thomson Road to take a bus to town or elsewhere because there was no bus service then, even the roads were not paved yet to merge to Thomson Rd, just a mere beaten path existed. As I grew up so did my estate. I went to the PAP kindergarten In Block 109 (which is now serves as a MP meeting room). I would go on the Tech Ghee Primary and then to Ang Mo Kio Secondary. All the stuff you pieced here evokes so many memories – the mini ‘road safety park’ just next to the A&W, buying cassettes, Oriental Emporium, Broadway Theatre, swimming pool (where I learnt how to swim), taking the train in 1987 to just get a feel of it – it ended in Toa Payoh, the Ang Mo Kio Town Centre sign, the library…. so many memories. I lived in Ang Mo Kio til I was 28, got married and then moved to Hougang and a few other places after that. My parents were and still are living in Ang Mo Kio and so is my elder brother so I always keep going back my old town. My last Singapore address was in Newton area but i would drive to Ang Mo Kio blk 266 market to buy breakfast (you tiao, soya bean, vegetarian wanton mee, roti prata, etc) and the barber I used to go when I was 11 til about 23 or so, is still there in Blk 330 (Sam hairdresser) and so is the bicycle shop uncle in the same block from whom I used to fix my BMW bike in my teens. They all have aged. Even hawker stall vendors too, and so has Ang Mo Kio. I chanced upon your blog post when Transit Link was featuring the fountain at AMK central on it’s Facebook page. My parents moved in to block 571 around 1979 (according to my mother). Following up, I was born in 1986 and until now we are still living in the same block, which is also just facing the green dragon playground that you posted in this blog post too. I am from Townsville Primary school. In year 1989, Queen Elizabeth II also came to our school for a 20 minutes tour. She watched a performance by our school Chinese Dance Troupe. All students were standing on the front block of the school welcoming her. Brings back lots of memories 🙂 have stay in AMK from the day i am born till today. 32 years. Choon Boon primary sch… i miss those day…. who last time (1990s) same as me? Wonderful! This article is so precious! Thank you for this. I saw this blog post of yours via a Facebook post and read through the entire entry. I am a Singaporean born in 1979, was moved to live in my late maternal grandmother’s flat along Ang Mo Kio Ave 3 when the kampongs at Chong Pang Village were to be demolished (around 1 year old) and lived there until around 1985 when my parents purchased a flat in Yishun. Before the emergence of GV Yishun 10 Cineplex, and before Yishun Central area was fully developed, yes! I was one of those kids who every now and then went to Ang Mo Kio via bus or MRT train for watching movies, borrowing library books, having random meals with friends at the hawker centre. During my primary school days, AMK was then the “Orchard Road” for me. lol. The bird shop at AMK Ave 10 has been going strong for the past 20 years! The bird shop is still around, only smaller now, half a unit. There’s a clinic there too, Nawaz clinic, been there since the 80s till now. and yes, the same doctor. Yes, it’s still here, only smaller now, half a shop. There’s a clinic there, just opposite, Dr Nawaz, still at the present site, with the same doctor. The bird shop really bring back memories…always hv to walk past it to get home. Unfortunately, the bird shop closed down already. I used to go to that shop and make it seem as if its the bird park. Don’t know what happened to it. I moved into AMK in 2004 when I was born. Yes I am still young. Hi there..I am also a former resident of Ang Mo kio for 21 years…Shifted from my kampong at Jln Kolam Ayer (somewhere near Macpherson Market and PIE Kallang) to Ang Mo Kio Ave 10 (Block 464) in 1979. Still the present Mcdonald Restaurant at Ave 10 was formerly a Coffee shop and the market was there despite undergoing 2 to 3 renovation. I was 8 years old then. Had my education at Chong Boon Primary School (the old Campus Bldg) from 1980-1984. At the time, Chong Li Primary and Anderson Secondary which was previously temporary school for St. Nicholas Girls School was still under construction. Still remember the CTE behind Chong Boon Primary was a mix of bushes and old terrace houses of Serangoon Garden where I use ride bicycle to buy roti prata near chomp chomp every sunday morning. Having grown up in Ang Mo Kio..I spent my childhood days, playing football and table tennis under the void deck, riding bicycle around with all my schoolmates, not forgetting my youth days till my NS days and throughout my working life. Really missed Ang Mo kio so much since after I got married in 1998 and shifted to my in law house at Marine Parade..Recently my brother had sold house 2 years ago (2011) after both my parents passed away…but fond and unforgetable memories in Ang Mo Kio will always be in my mind forever. Thank you for sharing. It really rekindles the memories of my childhood times. I was one of those who lived in Ang Mo Kio for the past 30yrs and almost every corner of the area I have walked, jogged or cycled past. Some of those photos which I remembered vaguely when my parents used to bring me for leisure like the cycling traffic in the central. My primary school was Chong Boon Primary and to date the building is still there but is used by another special school. I really missed those days, when being a child, there’s every play time, sandy playground, playing table tennis, catching spiders in the AMK town garden, etc..
Credit to those contributed photos to bring back memories. Memories of the good old days.. I was from Kebun Baru Primary.. But sadly, now in the map, its shown as CHIJ St Nicholas Girls holding school.. I remembered quite a few of the places in the pictures.. But as Im born only in 1986, so those in 1970s, not much memories.. But the rest… totally clear man…. how nostalgic. Staying at St 44 for over a decade (foreigner) and somehow the place and its old charm mesmerizes me. Pingback: Present(ing) the Past: A Date at MacRitchie Reservoir (Part 3 of 7) | Still.Life. A nice coloured photo of the old Ang Mo Kio Bus Interchange (1980s). If I remember correctly, the feeder bus service 266 used to loop to AMK Ave 4? It used to ply from amk ave 3==> ave 4==> yck road==>amk ave 5==> ave 4 and back to ave 3 and amk interchange. Now it has been replaced and substituted by both 265 and 269. Ang Mo Kio Bus Interchange became fully air-conditioned in 2007 when i was 12. The newly-renovated interchange was officially opened by PM Lee Hsien Loong. Managed to find out the partial location of Cheng San Road (defunct) and its current location. With redevelopment going on together wtih the new Thomson Line and North South Expressway, AMK will changes a lot in the years to come. Thank you. Sincerely thank you from my heart. I have a very bad memory so I cannot remember things much. I was there… 21 years ago, when I was 7. I studied at Chong boon primary school in grade 1 then I left flew back home (Thailand). I lived there with my aunt only a year. I had many good friends there and I loved to play with them very much. I was once fell down from the table-tennis table while playing the crocodile because everyone was pushing around!!! I will go to visit Singapore again in the next few weeks (first time in 21 years) and I thought that I will go to see my old school but you said that it was vanished, quite disappointed. But anyway, thank you very much. You brought me those beautiful memories back into my mind. Students from Chong Li primary moved to the Chong Boon Pri when Chong Li were demolished to make way for the present Chong Boon Secondary. Thanks you so much for such detail writeup. We stayed at a 1 room rental flat in blk 123. After my parents got their flat in yishun, we still come back to amk to shop, go to the library, ride bicycle in the mini park, watch the water fountain at night. Thanks for keeping my wonderful memories alive. Anyone remembers this giant lobster located where Jack’s Place(Beside the library/Courts) is now? wow… real nostalgic man. i grew up in AMK since i was 2 years old i think? moved frm sembawang to blk 729 beside the library & than moved to lentor, than moved again to ave 4 blk 612 & have lived there for the last almost 11 years. Basically, I lived in AMK for more than 30 years! A really fond memories from the past of my beloved ol place where i grew up, study n play… Shifted from my kampong at Jln Ulu Seletar to AMK Ave 3 Central in 1977-78. Ai Tong Primary was my 1st school in 1980 then shifted to then temp Mayflower Secondary for a year before the shifted to another school AMK North Primary till my PSLE year. Yio Chu Kang Secondary till ‘O’ level. It had gone to so much changes through the decades. Every single spots i’ve seen here mostly gone forever..or maybe had some changes or to another.. Looking at these photos just makes me happy and gave me so much flashbacks…Thanks so much!! !..AMK 1977-2003…In Memory.. So many memories.I’ve been staying in AMK since 1989, when my late-mum and I finally got our own place.Wasn’t easy for a single mother, but it was actually the 3rd time we returned to AMK.The first time was in the very early ’80s.We stayed at Street 61 and my doctor, Dr. Quek Meng Poo, was my first physician.Same doctor, same nurses, all these years.I brought my own kids there to see him. Ang Mo Kio will always be more than just an address to me.I had my first “date” with an ‘Ang Mo’ girl I had a crush oncat the Chao Phraya Restaurant.Chaperoned by my mum, of course, as we were both 12. I remember the park very well. Scraped a huge chunk of skin off my arm and still bear the keloid scar of a deep wound on my toe after I lost control of a neighbour’s bike going down a steep hill at the other end of Town Garden West.The brakes didn’t function. But that was what made life back in AMK so much more happening than what it is today.We could go out, play at the mini-road safety park, sip root beer and chomp on A&W Coney dogs, explore the many trails and have our adventures.. in a time when creativity, imagination and sheer childhood ingenuity alternated between Paco Funworld(boy, I got hell from my mum each and every time I headed there to play Daytona, Virtua Striker and Street Fighter) and its many trappings of a wonderland. My favourite swimming pool was at the YCK Swimming Complex.Big chicken drumsticks, huge fishballs, all the gastronomic delights a child needs to wonder at the miracle of how anyone can stay afloat after such a feast…. WoW! !Great memories of my childhood playground..Born 1985 from blk 540 shifted to blk 584 and last blk 573 before i got married and shifted to yishun. Would love to stay in ang mo kio as all my childhood memories are there but too expensive nowadays…Miss the atmosphere of belonging as an ang mo kio resident. Thank you for your great article..appreciate it! Ar u referring to the still in the coffeeshop? Sadly the chicken rice stall couple has retired alr. Thanks everyone for the memories. I was born in 1975, and lived in Blk 321 AMK ave 1 since around 1980 and moved to Hougang in 1992. Chong De Primrary School was my playground days, and I chanced upon this blog while I was looking for pictures to share with the Grade 2 students here in USA. I remember everything about AMK, especially the Emporium where I would get our G I Joe and Mask toys. Also remember the Paco Fun World during my early teens for my video games. I moved to AMK ave 10 in 1979 and still here now, reading this, sure bring back memories of my lovely AMK. My sons went to a kindergarden run by PA at Teck Ghee CC, and later Chong Li Primary School. I used to send them to schools and met so many parents there who became friends. It was so sad to see the name of Chong Li, Chong Boon, Chong De, Chong San disappeared for good. Before the first interchange was built, we all had to wait at a bus stop in front of the present AMK hub. Every day passengers would queued in orderly manner, at the respective service numbers , under the sky, until it rained, then everyone would run to the nearby blocks for shelter! I moved to AMK ave 3 in 1979 and reading this, sure bring back memories. I studied at Mayflower Primary School And Yio Chu Kang Secondary School. I used to walk to school, garden and central. Really miss the old days and friends. The AMK Plant Centre (Floral & Landscape), besides the AMK Library, is gone! Tuesday Report just aired a nice video about Ang Mo Kio and why it’s so unique! Having lived in ang mo kio for more than 33 years, i still miss ang mo kio even though i moved to punggol two years ago. Understand he is operating his business from home. The Yong Heng kopitiam, at Ang Mo Kio Street 64, has been demolished. The site is bought over by ST Electronics. Its bak kut teh and zichar were quite nice and popular among the working class during lunch times. Thank you so much your time and effort in putting this together! Been living here since 1978. It’s really great to rekindle those memories of the old AMK as they had begun fading over time. I can relate to this so well… My family used to live in Toa Payoh before we moved on to AMK Ave 10 in the late 70s as well. I now live overseas but everytime I come home, I still stay at my parents in AMK Ave 10. Absolutely love it and my parents will never want to move anywhere else. Thanks for the comprehensive article. Thank you for this wonderful post which has brought back so much memories! I’m an Australian, and I spent six years working in Ang Mo Kio (in a low rise HDB on ave 6, not far from the library), I’d love to move back there one day. It is my favourite neighborhood and every time I come back to see my wife’s family I spend time in the central central area catching up with my favourite hawkers and coffee shop aunties who always remember me and are happy to have a good chat. Thanks so much for this detailed article that gave me a better understanding of my favourite part of Singapore. It gave me a sense of nostalgia that I’m sure people don’t expect of foreigners, but I have so many find memories from my time there. Thank you. A large part of a 30-hectare secondary forest is set to be cleared to make way for a new neighbourhood in the Teacher’s Estate area, off Yio Chu Kang Road. The Urban Redevelopment Authority (URA) said the land preparation works are set to begin in the third quarter of this year. The area, bound by Tagore Road, Upper Thomson Road, Munshi Abdullah Avenue and Yio Chu Kang Road will comprise a variety of private homes to be developed over the next 10 to 15 years. It is also near the upcoming Lentor MRT station, which is set to be ready by 2020, on the new Thomson-East Coast Line. URA said it will progressively launch sites for the new homes as the land preparations works complete, so that more residents in the area can benefit from living close to the new Lentor station. URA said the new neighbourhood – which was announced in the Master Plan 2014 – is part of plans to “rejuvenate Ang Mo Kio Town by providing Singaporeans with more housing options and convenient access to amenities”. The authority added that when it drew up the plans for the area, it “deliberately included more parks and greenery to provide a good living environment, while catering to residents’ recreational needs”. URA said it has been engaging the local community on its plans since 2013, and nature groups since last year. It added that it shared the upcoming plans – through platforms such as dialogue sessions – to gather the community’s feedback and address their concerns. URA noted that from 2014 to 2015, it worked with the National Parks Board (NParks) “to salvage and relocate plant species that are of varying conservation status”. It said that before construction work can begin, a management plan will be put in place to ensure wildlife are safely guided towards the Central Catchment Nature Reserve in the west or the forested area in the north. The Nature Society said several nationally and globally threatened animals have been spotted at the site, including the young banded leaf monkey, sunda pangolin and the sunda slow loris. There are also two streams running through the area, along with about 100 specimens of the rare Elephant Foot’s Fern, classified by NParks as vulnerable. Last week, the Nature Society released a position paper calling for phased development of the site, while preserving parts of the forest and one of the streams. URA said it has shared its plans to keep two vegetated areas near Munshi Abdullah Walk for at least five years, as they are not affected by immediate works. Some existing vegetation is also being kept for a future neighbourhood park while a new linear park will also be added. URA said the land preparation works are expected to take about five years, to facilitate the building of drains, sewers and roads for the new neighbourhood. May I know is there any story about under MRT track ? To make way for a new neighbourhood in the Teacher’s Estate area, clearing work has begun at a large part of a 30-hectare secondary forest just off Yio Chu Kang Road. Bound by Tagore Road, Upper Thomson Road, Munshi Abdullah Avenue and Yio Chu Kang Road, land preparation work will take about five years. Currently, low hoarding of about three metres high has been put up and this could be extended to nine metres to shield residents from the dust and noise. The area will eventually comprise a variety of private homes which are set to be developed over the next 10 to 15 years. This was made known in the 2014 Master Plan and will allow the new neighbourhood access to the upcoming Lentor MRT station which is set to be completed in 2020, as part of the new Thomson-East Coast Line. The hoarding is also part of a wildlife management plan, to shepherd animals to nearby green areas before the land is cleared. The Nature Society had previously said several nationally and globally threatened animals have been spotted in the site including the young banded leaf monkey, sunda pangolin and the sunda slow loris. Authorities, however, hope that by closing off sections progressively, animals will be guided to a forested area in the north, or through an underground tunnel or drain culvert, to the nature reserve or the new Thomson nature park in the west. Two vegetated areas near Munshi Abdullah Walk will also be kept for at least five years, as they are not affected by immediate work. Updates on land preparation work and details about the new park were shared with residents by the Urban Redevelopment Authority and NParks at a dialogue this evening. The new 50-hectare nature park is bound by Upper Thomson Road and Old Upper Thomson Road. It’s set to be completed in the second half of 2018 and currently stands on abandoned agricultural land. The site also used to be an old Hainanese village in the 1970s and authorities say its traits will be incorporated into the design. The park is one of four new nature parks which will serve as buffers to the Central Catchment Nature Reserve. Thank you! I had lived in AMK since I was 6 years old and it indeed brought back lots and lots of memories. I am a proud AngMoKiorian! Anyone remember even before parco funworld. There is a arcade centre beside NTUC supermarket which is the former Ying Bao Liang. However the building was demolished and sitting on it is the AMK HUB. I stayed at street 44. Yes there was a bus plying this street for a very short while Around 1980/1981 I think. Bus 261 probably . Hi, first of all thanks for such informative post. I’d like to ask for my research project if Broadway Cinema was replaced by the current Broadway Plaza? Or are these two totally different buildings? Wow, yes. I stay in blk 544 which is just opposite by the roadside of this block. There a chinese mama shop beside Seletar Broadway where i always patron buying the 10c small box (3 pcs) bubble gum. or the 10c sng bao (ice bar). There’s a basketball court and a playground infront of this blk. The playground used to be old sand type with penguin and tortoise. There used to be some stone chairs in front of this blk supposingly with a public colour TV erected. I’m born in 1981, i remember i ever watched TV there before. I guess in the late 70s-early 80s not everyone have a TV at home. Thanks for the memories.. My childhood playground. Side by side with Chong Li Pri school is Chong Shan Pri Sch (because I was from Chong Shan) 😀. Thanks for writing the development of AMK. Very well written! It’s also my playground where I grew up. Moved into Blk100+ in 1978. And still living in AMK today. Sorry. My bad. Next to Chong Shan was Chong De. In the eighties and nineties, there were many small hexagonal buildings at Ang Mo Kio Ave 10 (beside 409 Market & Food Centre) sold/leased to shopowners for selling of provision, snacks and other stuffs. The ones at Ang Mo Kio Ave 10 were already demolished, while this one at Ang Mo Kio Ave 1 has been converted into a resting shelter.